Concerned about the rising costs of insurance? FIRM (www.fairinsuranceratesinmonroe.com) needs your help. Sign this petition. They are fighting for you in Tallahassee. consultative approach. Our sales associates are truly committed to delivering extraordinarily high levels of customer service. Being marketplace savvy, we provide you with the information necessary to make decisions with confidence. Most importantly we treat you as you wish to be treated (the "new" Golden Rule) while creating the home selling experience that meets your desires. Through our commitment to meticulous attention to details, Waterfront Specialists, Inc has become known for exceptional service. See our Testimonials. Over the past three decades we've developed a process of providing maximum exposure through deploying the very best in high quality marketing (medium). The result of our carefully planned marketing and sales effort is increased demand for your property and that means your objectives are reached and your expectations are exceeded. paramount. Since 1972, the founding owner/broker, Diane Chaplin-Colvard, CRS, CRB, has been marketing and selling homes and condominiums from $150,000. to $3M. 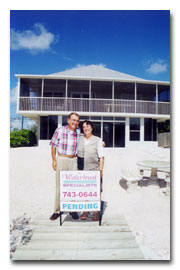 All of our associates live on the water, are very knowledgeable of our local market and in selling waterfront property. Our extensive advertising program and strong internet presence will give any home owner a unique selling advantage. To attract potential buyers, our marketing plan includes local real estate magazines, radio, cable TV, newspapers. We will submit your property's best features to the Multiple Listing Service and then market it to other area brokers, sales associates and top agents in the community. We will ensure every serious prospective buyer is aware your property is for sale. We create full color brochures featuring your property. We send full color listing announcements to targeted lists of buyers. These are sent both by regular mail and emailed to the large list of contacts we make through our web sites. In addition, your property will be available for viewing through technology on the Internet attracting buyers from all over the world. When we show your property, we consider all serious prospective buyers, qualify them in advance and counsel them in every possible financial alternative. We follow up on everyone who views your property, and present offers to you and negotiate the best possible price on your behalf. At all times, we will keep you informed of events by notifying you, in advance, of any requests to show your house and will explain, in detail, all procedures and transactions. As one of Marathon's best performing independent real estate offices, you can be sure your property will receive the very best marketing available. Contact us today to discuss how we get started. Before you place your property on the market, certain preparations should be performed in advance. A house attracts most attention within the first few weeks. If you try to market your property before it is in "top shape", you are unlikely to obtain its true value. With over 30 years experience in selling high end waterfront homes, Waterfront Specialists, Inc will help you achieve top dollar by advising you how to prepare your house for sale by reviewing all aspects that may affect the marketability and suggesting things that can be done to increase the likely sales price. Would you like to know what your home is worth? 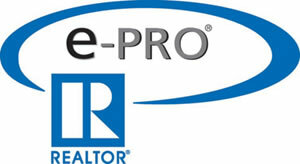 We will provide you with a no cost/obligation evaluation of your home's present market value. Contact us to arrange an appointment so we can determine if any other special preparations are necessary for your property or call 800.342-6398.